“I am not pressing you to fight the weather as well as the Germans, never forget that.” So wrote Winston Churchill to Arthur Harris, the Commander-in-Chief of RAF Bomber Command, after the terrible events of 16 December 1943. 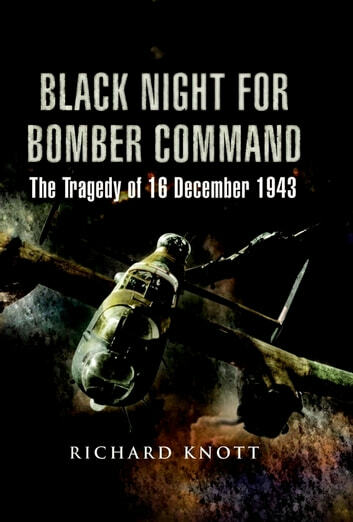 In the murky dusk almost five hundred heavy bombers, almost entirely Lancasters, set out for Berlin from their bases in eastern England, from north Yorkshire to southern Cambridgeshire. They lifted off at around 4 pm to bomb the target four hours later and were expected to return at midnight. 328 aircrew lost their lives that night – they were the victims of the weather, not the Germans. This book relates the tragic circumstances of individual crews as they struggled to find their home bases in low cloud and fog. It also includes stories from the local people who remember hearing a low-flying aircraft and all too often the frightful explosion as it struck unexpected high ground or even trees. Some rescue attempts were successful, but for most aircrew it was death in a blazing wreck. Many of the crash sites have been explored by the author as he tried to imagine exactly how each aircraft came to grief. It contains many photos of aircraft as they were and the remaining impact areas that remain to this day.